A dog owner should set his mind in the right frame if he wants to train his dog. This would prevent him from violating any dog rules, an act that could really detriment the dog's interest on learning. Incompletion of a task usually leads to confusion. Ensure to it that every time you give the dog a command, both of you will follow through it. Refrain from being distracted every time you give a command. Say you are asking your dog to sit. Once you give this command, be sure that both of you will see the end of it. Do not tug on the collar of your dog and stop halfway and be distracted. Always finish one command first then move on to the next. The dog should sit completely and not just bend his rear legs. If you do not make this happen, the dog will think that next time you give the command it would be okay for him not to complete the task or to ignore it completely. Always stay focused, this way, you would eliminate the possibility of confusion and maximize the obedience to a command. Many owners are anxious to let their dogs hear a string of praises or be rewarded with several cookies instead of one whenever a command is accomplished. On the other hand, a lot of owners give too many punishments on a single wrong thing that the dog did instead of punishing him just once. Both could adversely affect the training of the dog. Never over do the rewarding or punishing of the dog's behavior. If you are using praises as reward, do not over praise the dog. Single "good boy" praise will do to recognize that you are in favor of what the dog has done. This should be said immediately after the command is accomplished. 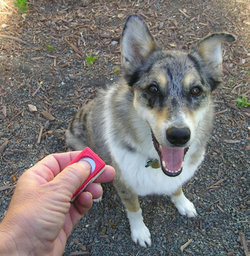 In the same way, a single pulling of the check cord will be enough if the dog did not follow your command. This would send him the signal that something is wrong. Overdosing the dog with either rewards or punishments will distract him from learning. He would only remember the praises or the punishments and not the thing he did or he did not do. For every training session, make it a point that the training will end with a positive praise. This would make the dog look forward to the next training since the last session fulfilled her need to please you. Also, ensure to it that the last command was accomplished correctly so that the dog is oriented properly to following commands. Often when trainers don’t get the results they want, they get impatient with the dog. Then they do something really stupid that could spoil the training. Training should be an enjoyable experience for you and your dog. If it starts to make you lose your temper and your dog a lot more disobedient, you should try to assess your pitfalls. Dog training is really a difficult business. If you are not prepared for it, you could get help from dog training classes and instructors.